A sinister new drug leads Angela and Jacob to a showdown with the Praetorians. Angela becomes an FBI CIC agent. Angela and Sorcerer counter a Praetorian plan to bring down the world diamond market. Angela has to try and stop the seemingly unstoppable Millenium Bug after a programmer is killed who was close to finding the solution. 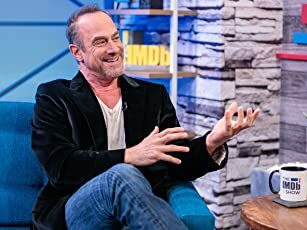 "Interesting show to know about"
I never knew this TV series existed until a few months ago when I saw the entire series available on DVD at my local video rental. I am a fan of the movie of 'The Net' with Sandra Bullock so I was interested strait away when I saw this TV series. I found this TV series quite enjoyable, it has the same kind theme as in films like 'The Fugitive' and 'North By Northwest'. Laura Langton is brilliant in her role as Angela Bennett, she is a great actress in fact I think she is a lot prettier than Sandra Bullock. This TV series has the same basic plot as in the feature film. Angela Bennett is a computer genius and software troubleshooter. She comes across a program she was never meant to see. A program used by a secret organization known as the Praetorians who use the Internet to manipulate world events. And before Angela knows it her identity has been deleted and she has been given a new identity "Elizabeth Marks" a cyber-terrorist on the FBI's most wanted list. So Angela travels from place to place trying to avoid both the the Praetorians and the police and FBI. While at the same time trying to thwart the Praetorians attempts to disrupt society, trying to stay free and alive and ultimately bring down the Praetorians. Angela Bennett is also assisted by this mysterious online email contact known only as the "Sourcerer" who is voiced by Tim Curry and Angela communicates with him via an email chat room. So I think this TV series is very interesting to know about. 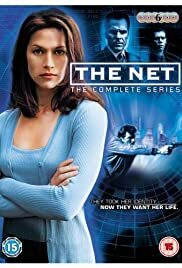 If you liked 'The Net' movie with Sandra Bullock then I highly recommend this TV series.